Truly one of the greatest actors of all time is Bill Murray. I wanted to do a Bill Murray shirt for some time, especially because t-shirt makers online all share the same lame image of him. 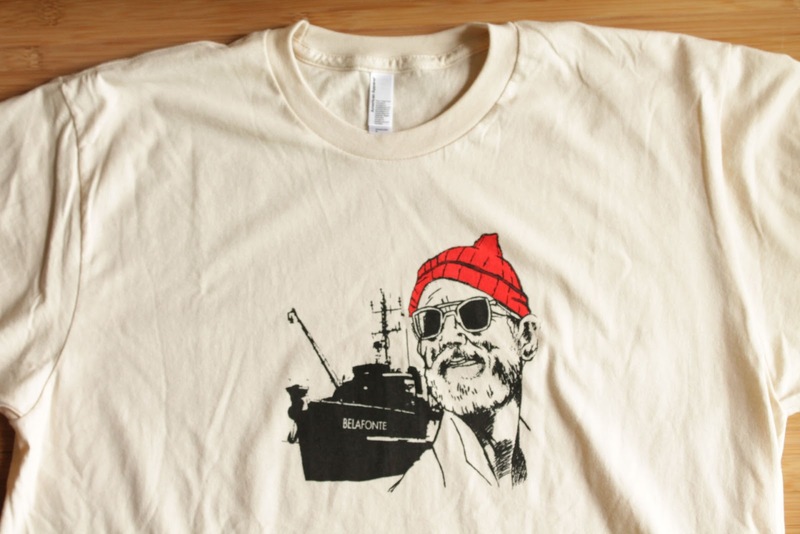 Go on Etsy, or Google search “Bill Murray” shirts, and you get the same stuff. It kind of amazes me that any of these shirt companies make any money of sharing the same design. I wanted to get creative and set my design apart from all the others. 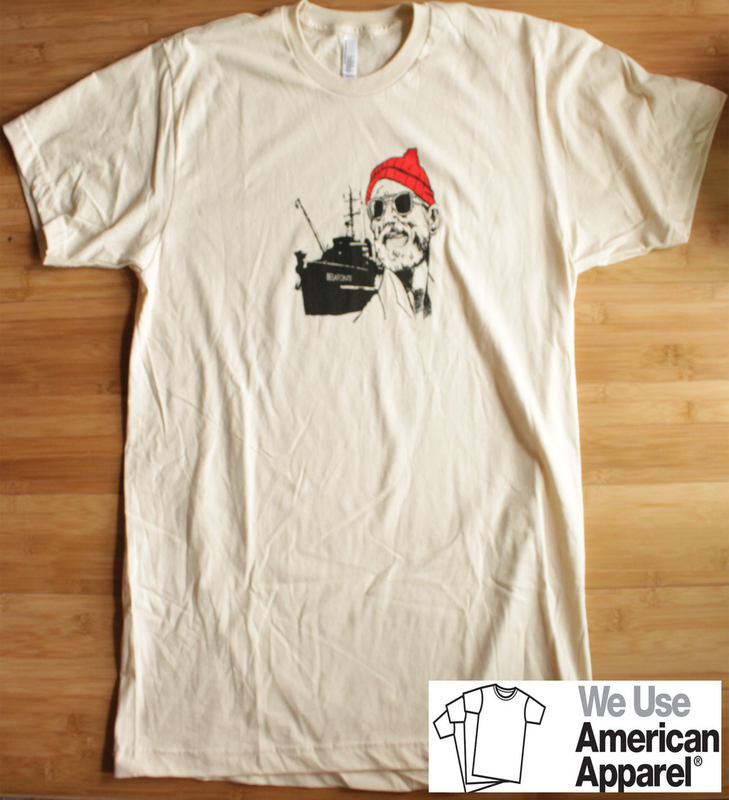 I decided to do a shirt paying tribute to Bill Murray in “The Life Aquatic”. 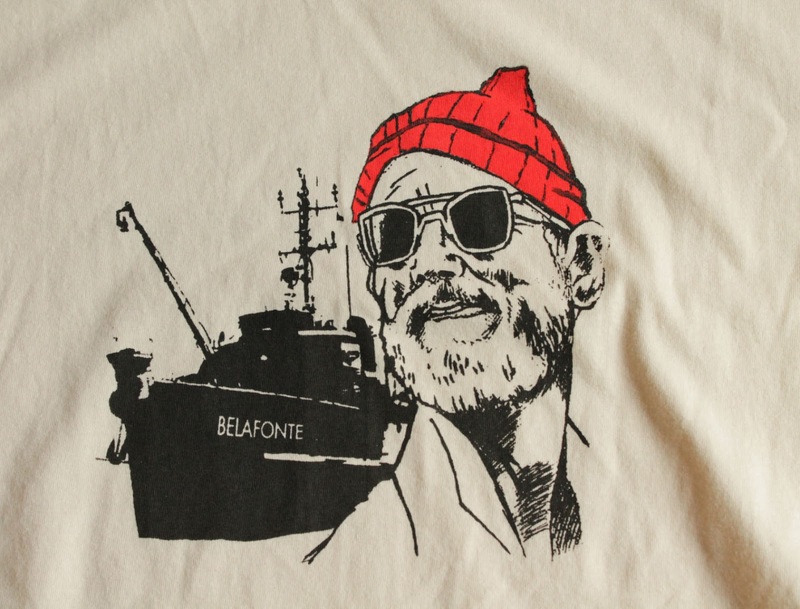 I didn’t just want to do this image on a shirt, I wanted to take it further and include his ship “The Belafonte”. This is now available in our Etsy and Ebay Stores as well as our main website.